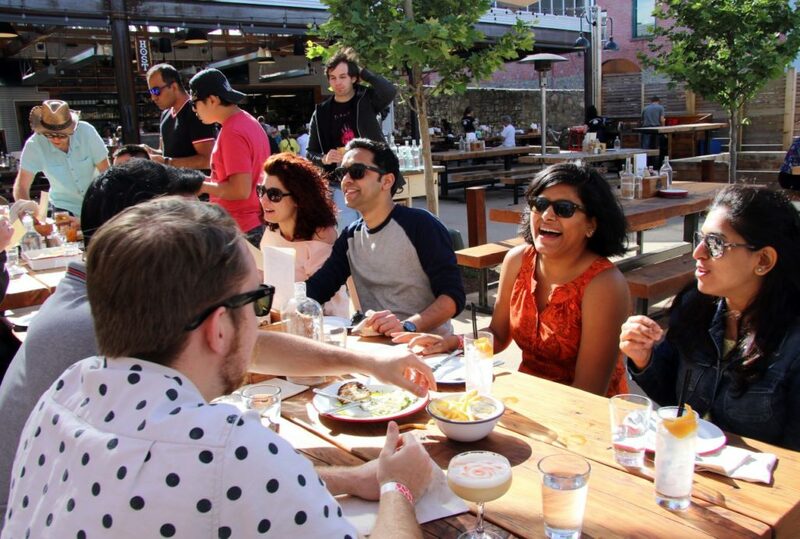 With the bounty and the heat of late summer cresting, Dining Editor Heather Irwin finds outdoor spots in which to cool down, beer up and enjoy the best of harvest season. 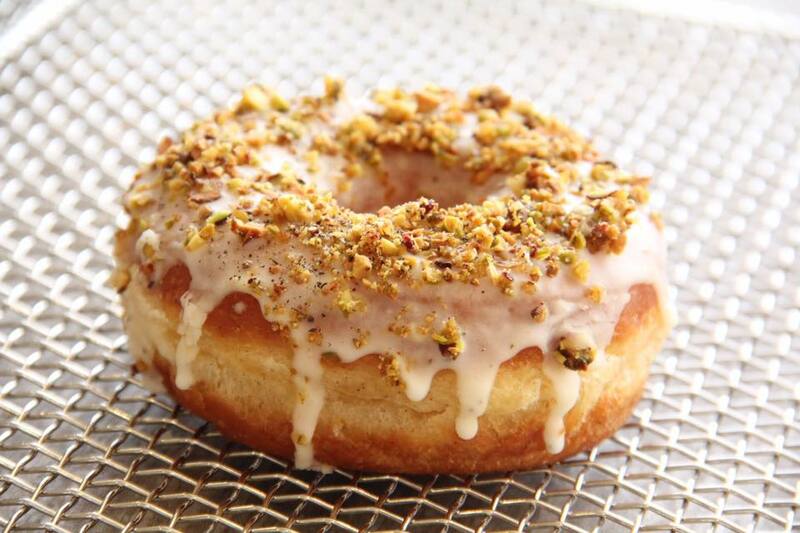 Also: Seasonal doughnuts, boozy cupcakes and Bangkok in Sebastopol. 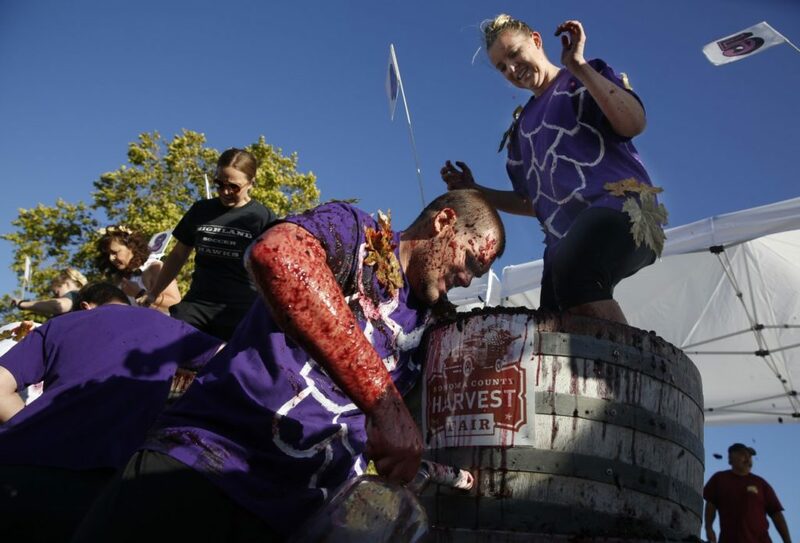 Locals are lining up in droves to get a taste of something wicked in Healdsburg. 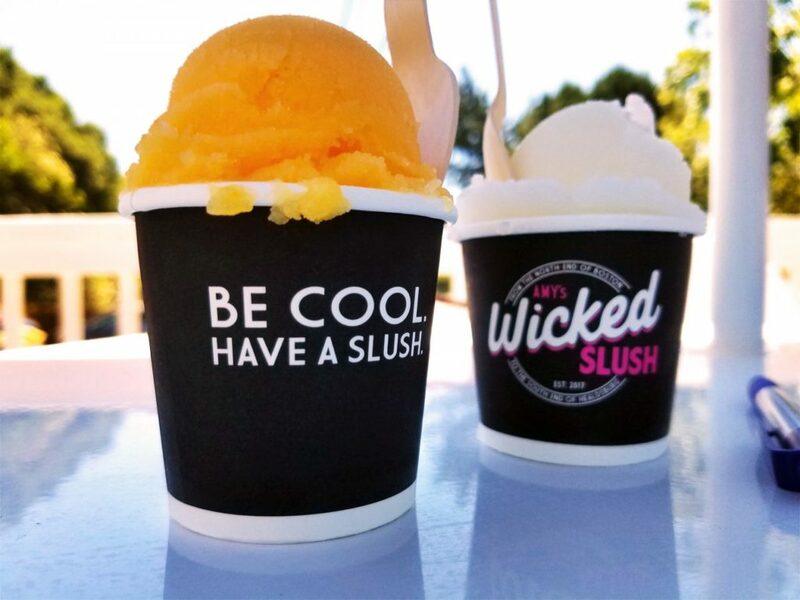 Just in time for summer, Boston native Amy Covin has opened Amy’s Wicked Slush just steps from the Russian River — bringing an icy sweet treat of her childhood to Sonoma County. What’s a slush? Unless you’re from the East Coast, you probably have no idea. Think of this iconic New England dessert as Icee meets sorbet meets shave ice. Available in sizes from pipsqueak to “there’s no way you can eat that, bro,” slush is properly eaten with a spoon rather than a straw. 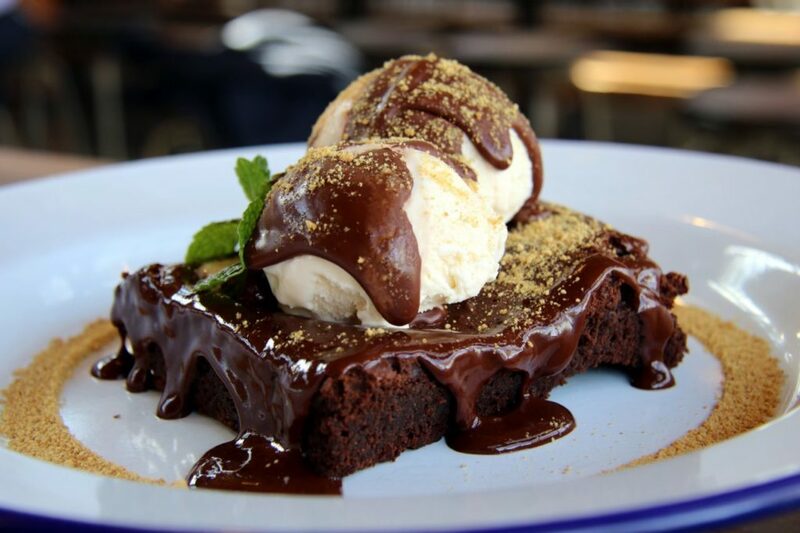 Expect to find yourself with a wicked good melty mess on your hands halfway in. 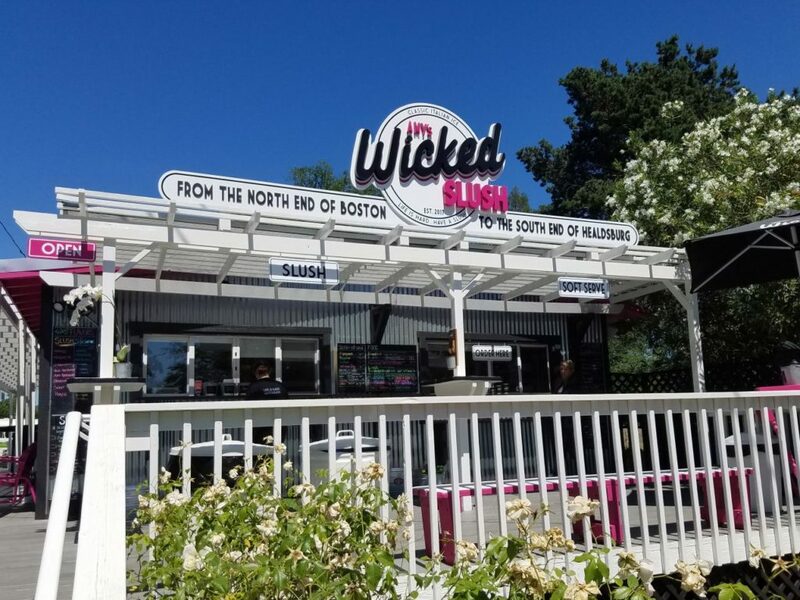 But Wicked Slush is no mere ice cream shack. It’s more of an ode to Amy’s favorite New England foods, featuring nearly a dozen flavors of slush (mango and cherry to classic lemon) along with freshly made bagels and Italian subs that are straight from the North End of Boston. Ah, the bagels! These are seriously good ones that don’t turn into a pile of crumbs when you cut them. It’s one of the only things we miss terribly about New York City. And the Italian subs! 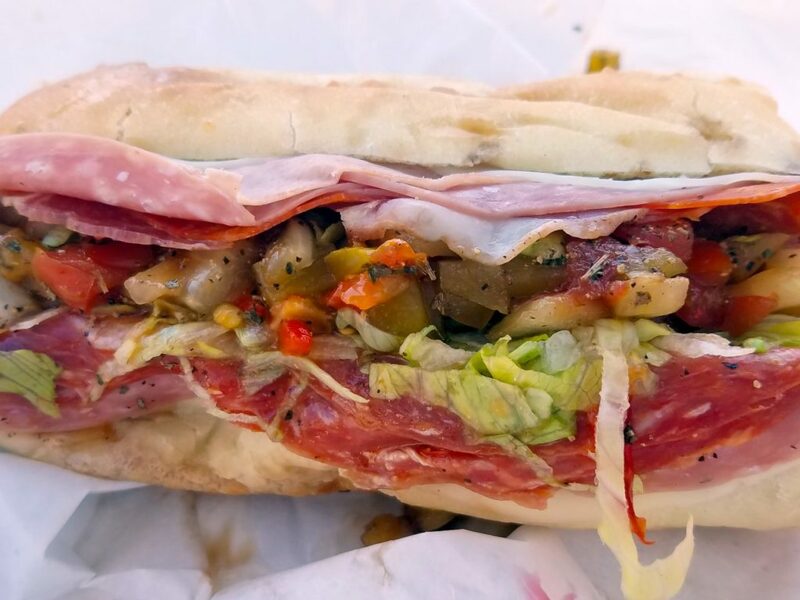 Piles of mortadella, capicola, “hots” and not a dab of mustard in sight with a perfect hoagie roll. Bad delis have given this classic a bad name. The “half,” however, is bigger than your arm, and you’ll likely eat the whole thing. The whole is… well, bring a team to help you. Wicked Slush didn’t happen by chance. Covin worked with local BurtoNZ Bakery in Windsor for three months to get the Italian hoagie rolls and boiled/baked bagels as authentic as possible. For the sandwiches, she used the power of persuasion and a whole lot of charm to get the secret recipes from the biggest names in Boston’s deli scene. And Covin can be very persuasive. 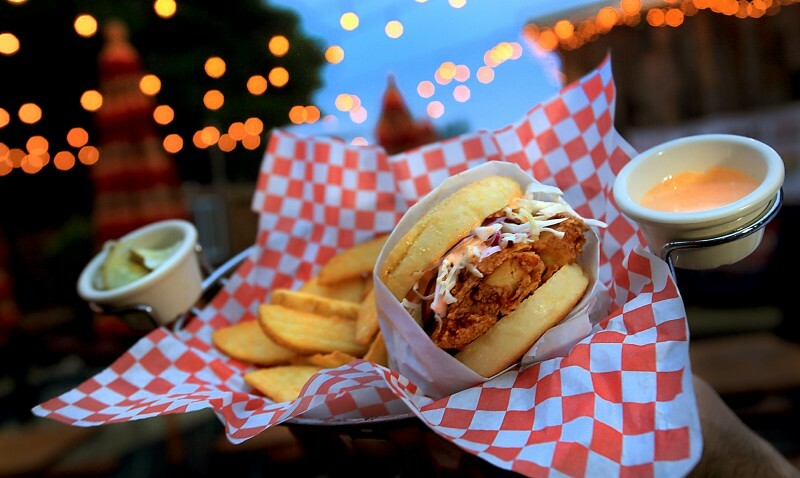 “This is just street food,” says the former CPA (she worked this tax season while opening the slush spot) and president of Healdsburg’s Prune Packers baseball team. Though she had no real interest in a restaurant, after a string of tragedies that included her home burning to the ground and her daughter being seriously injured in a car accident, Covin was ready to leave her desk job and enjoy life a little more. Sitting on the deck of Wicked Slush in a T-shirt, her fingers slush-stained as she holds her 2-month-old grandson, she’s clearly found her bliss. For the 55-year-old, that even includes pulling all-nighters jamming to Bruce Springsteen and making slush for the next day. That, and teaching high school kids she mentors how to properly make a dip cone. “Usually on their fourth try they get it,” she says. 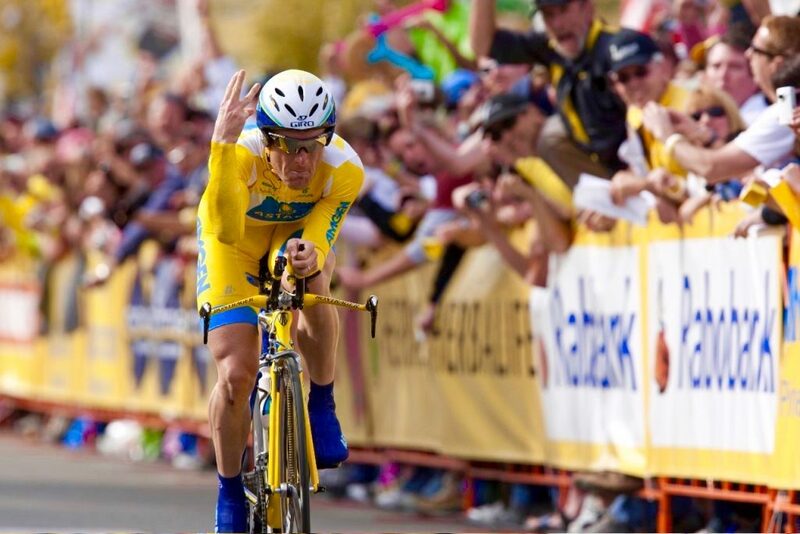 But not without a few mishaps along the way. With her son Benny as general manager and most of her other family members, including her dad and her husband, helping out, there’s a cheerful kind of insanity as lines begin to form even on an early Tuesday afternoon. “We were lucky to survive the first week,” she laughs. Covin is currently working on her Wicked Wagon, a mobile slush truck for events and deliveries that will let the rest of Sonoma County taste a bit of Wicked. 13840 Healdsburg Ave., Healdsburg, 707-431-9253, wickedslush.com. Dog- and kid-friendly. 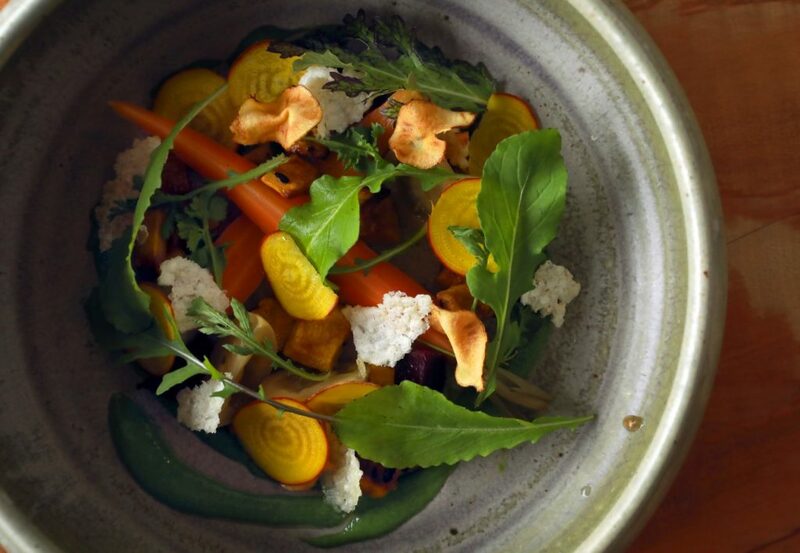 After ownership changes last winter, new chef-owner Erik Johnson and baker Aaron Arabian are seriously ready for a close-up on their garden-to-table concept in the emerging culinary destination of Cloverdale. With late summer’s bountiful days upon us, there’s no better time to go. The menu, in part, revolves around Ronnie’s Garden, the restaurant’s own culinary plot. Restaurant gardener Ron Ferrato’s Instagram account (@ferratosgarden) hosts a rainbow of lettuces, daikon, peas and whatever else is popping at the moment. That translates in the daily “Ronnie’s garden” ($8) plate of the morning’s vegetables, “prepared on a whim.” Don’t miss it. Our version included a lightly dressed salad of pea shoots, radish, chamomile-soaked carrots, pickled strawberries and daikon with house-made ricotta with black sesame seeds. The Trading Post bread basket ($6) is a signature, with a daily selection of baker Arabian’s painstakingly made, always insanely delicious breads with house-cultured butters. Not your usual sad basket of dried-out baguettes, but Parmesan focaccia, wheat bread, sourdough and a hearty seeded wheat. You’ll want to leave with a loaf or two. As seasons change, so will the menu, but there’s always a daily tartine, half roast chicken that’s juicier than a telenovela and duck fat potato tots that will make you weep with happiness. There are burgers and a flat iron steak for more traditional eaters, and a three-course midweek market menu is available for $30 per person on Wednesdays. 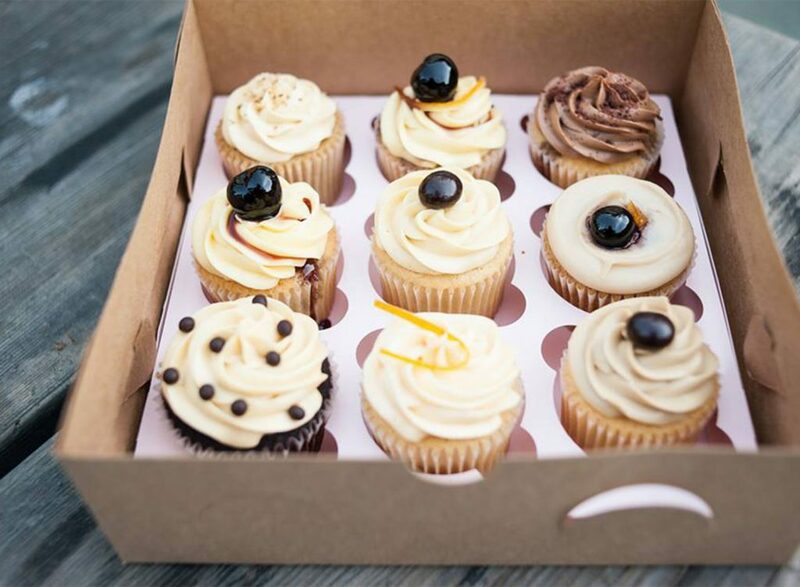 Don’t miss the small takeout counter with breads, cookies and tarts. These aren’t workaday donuts or wacky cereal-coated marshmallow-dipped curiosities that are more fun to look at than eat. Instead, City Garden takes a more subtle approach, using intensely flavored glazes made with fresh fruit (the lemon glaze is perfectly pucker-worthy) and chocolate atop pillowy brioche. Owner Alan McCandless said he planned to either open a donut shop or a hamburger place. Or maybe a pizzeria. 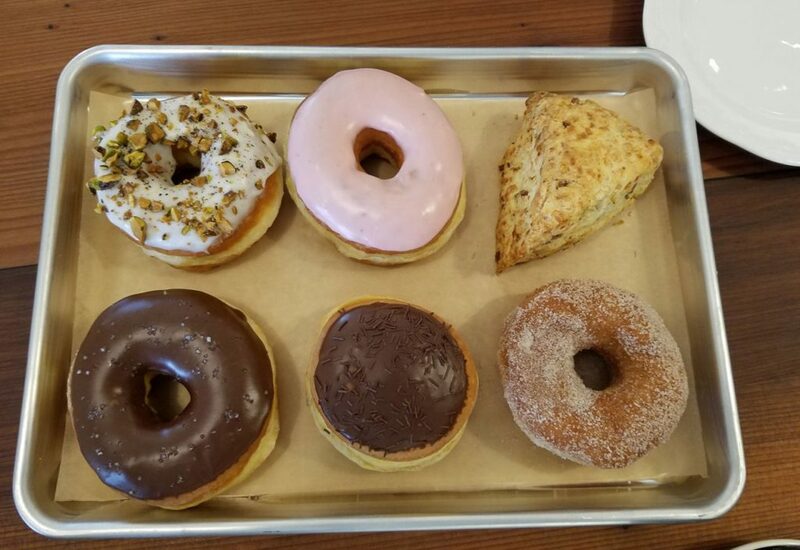 Donuts won, and over the last six months he created City Garden Doughnuts — named for the 1860sera Santa Rosa public garden that once stood nearby. 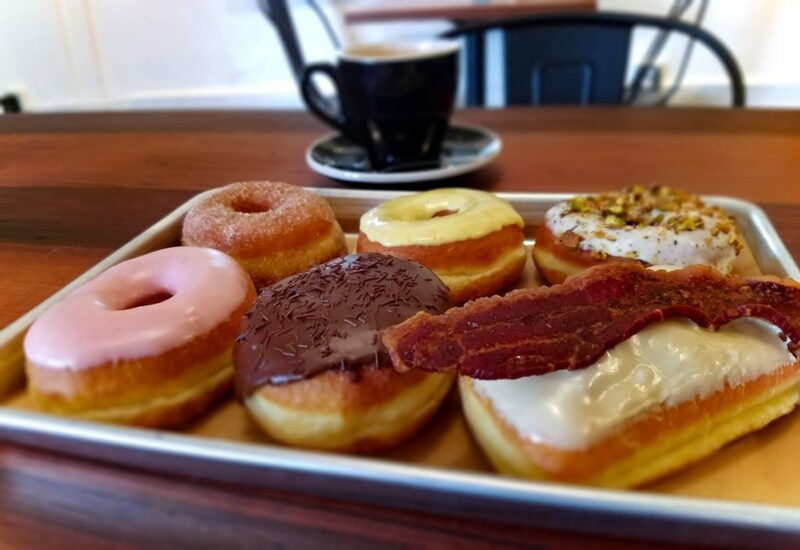 Must-tries include the lemon, pepper and pistachio Santa Barbara donut; the maple bacon combo (made with Hobbs bacon) that’s a taste of Sunday morning any day of the week; orange-glazed with fresh orange juice and zest; strawberry-glazed; and Guittard chocolate with sea salt. Scones aren’t usually worth the calories, but City Garden’s “Hobbs” scone is (and we don’t say this lightly) the best scone we’ve ever had. Unlike the dusty hockey pucks we’ve had at too many places, this version falls apart like a stood-up prom date, but with a whole lot of bacon, Vella cheddar and green onion inside. Need a glucose stabilizer after all that yummy? City Garden Doughnuts’ Harney and Sons Cinnamon Spice Nitro Ice Tea is our official drink of the summer — made with three types of cinnamon, no sugar and a flavor that slaps your taste buds awake. BBQ and brews are the focus at this 350-seat outdoor beer garden in the heart of downtown Petaluma. Having tasted some of the very best — and very worst — barbecue that Sonoma County has to offer, we give Brewster’s high marks for flavor and technique. When it’s been a good long while since you’ve had a barbecued rib that actually falls off the bone without the use of a knife/hacksaw/gnawing, Brewster’s will be welcome relief — with smoky, saucy pork that acquiesces like a Georgia peach in August. To avoid starting a civil war between ’quethusiasts, chef Chris Beerman makes a solid Texas-style beef brisket, St. Louis-style pork ribs and even smoked Korean short ribs. 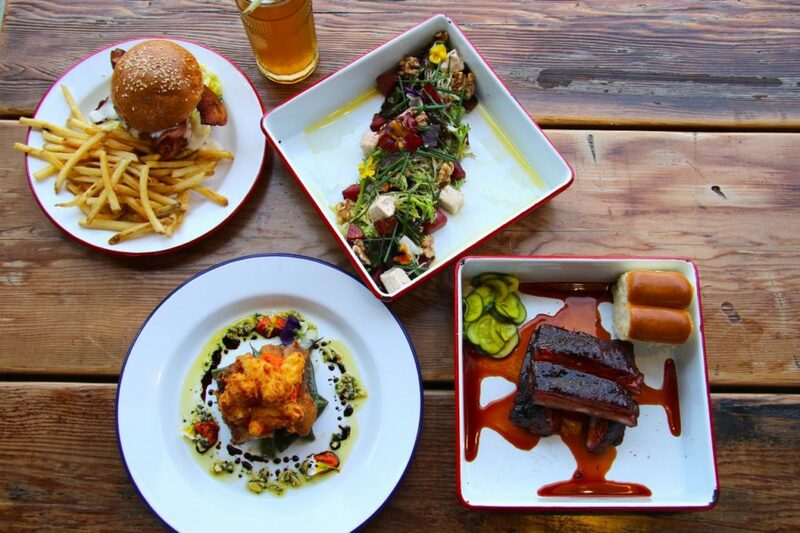 Even though there are also smoked beets, smoked wings, smoky pork belly, a smoky mezcal cocktail and smoked tea leaves, don’t bank on Brewster’s being just a barbecue spot. Modern comfort classics include his signature onion ring-topped mac and cheese, fried chicken sandwich and chocolate brownie sundae. The space is immense, with a plethora of picnic-style tables that are great for a group, or if you’re interested in being social. There’s a bocce court for grownups and a kids’ area to let the tots go nuts. 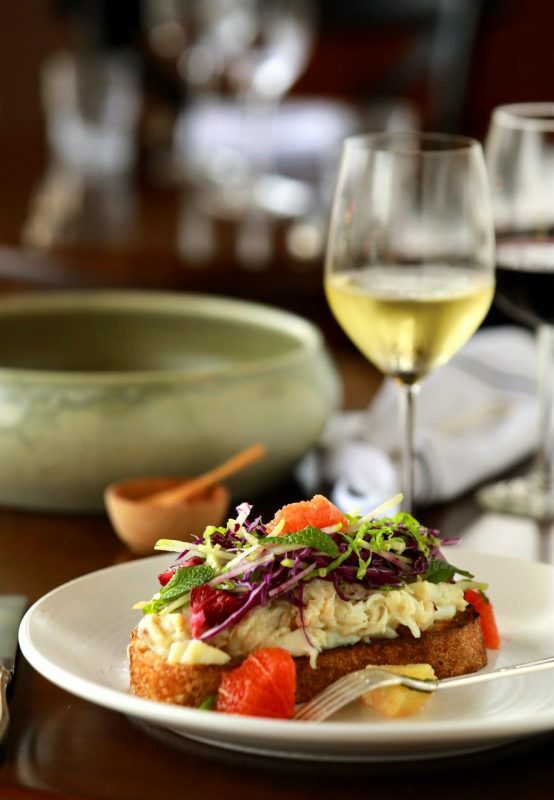 Brunch, served on Saturday and Sunday, and an abbreviated lunch menu start at 11:30 a.m. and go until 5 p.m., when the larger dinner menu emerges. A children’s menu features chicken fingers and other tasty kid grub. Dogs are welcome, and there are weekly music events Friday through Sunday. Every other Thursday is Bluegrass and Bourbon. This busy restaurant can get crowded, and service can range from enthusiastic to dismissive depending on the time of day and staffing. Plating can also get a little haphazard when the kitchen is really humming. Finding the restaurant is tricky, since there’s not much signage from the street. Just follow your nose. The transition from fish biologist to baker isn’t as crazy as it might seem, according to Bump City Bakery’s Emily Floyd. 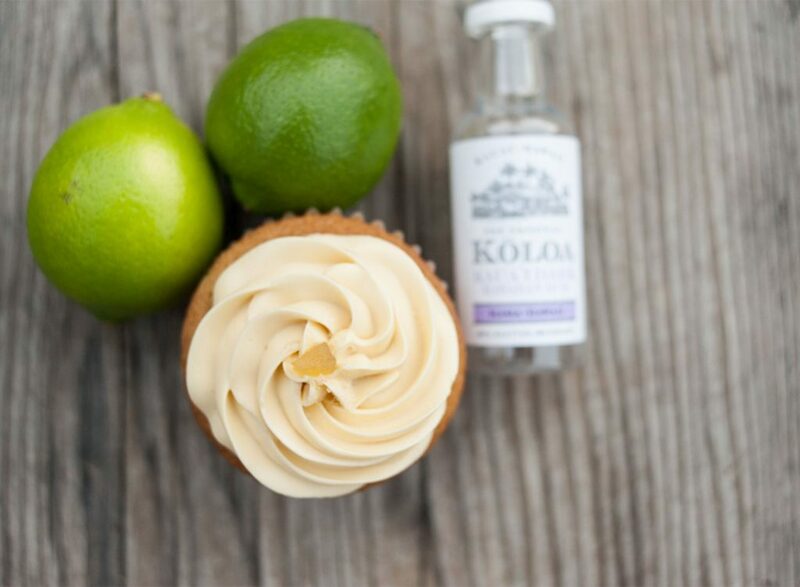 The cupcake, pie and cookie baker who used to spend her days studying the habitats of local fish now uses her science background as a basis for creating delicious gluten-free and vegan goodies. If you’ve ever tried to swap out typical baking ingredients with things like amaranth powder, rice flour, coconut milk and nut butters, you know gluten-free and vegan cooking is an exact science. Too much of one thing or not enough of another can make the mix grainy, or too dense, or just plain yucky. A biology and science background helps her tinker and experiment with foundational ingredients to get things just right. Just right also means spiking most of her cupcakes with a little booze (rum, Bailey’s, Campari, gin, bourbon or brandy) and calling them “Drunken Cupcakes.” Though the flavors change up, we downed almost three cupcakes in a single sitting: Irish Car Bomb (chocolate cake with Jameson, Bailey’s buttercream and chocolate sprinkles); Orange Creamsicle (nonalcoholic) and our very favorite, the Dark and Stormy with ginger-beer cake, dark rum and lime buttercream. 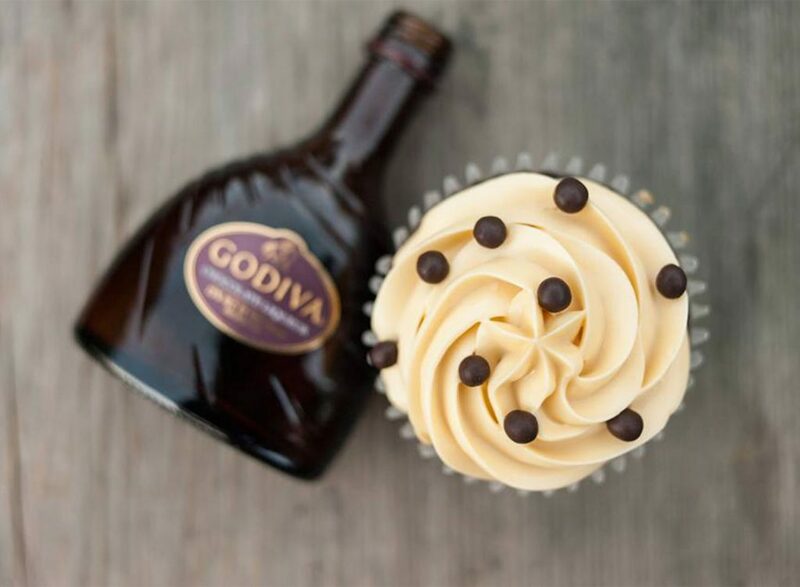 Not all of Floyd’s cupcakes are on a bender, with flavors like raspberry cheesecake, chocolate chocolate and vanilla vanilla, along with Creamsicle and whatever else she comes up with. Floyd also makes vegan cookies like Peanut Butter Cup, oatmeal raisin walnut, chocolate chip oatmeal and Salty Date with dates, pecans, almonds and chocolate chips. Rye Pecan Pie with Bulleit rye whiskey and key lime pies are available to order. on the plate. The fire in my face, complete with watering eyes and running nose, makes that abundantly clear. 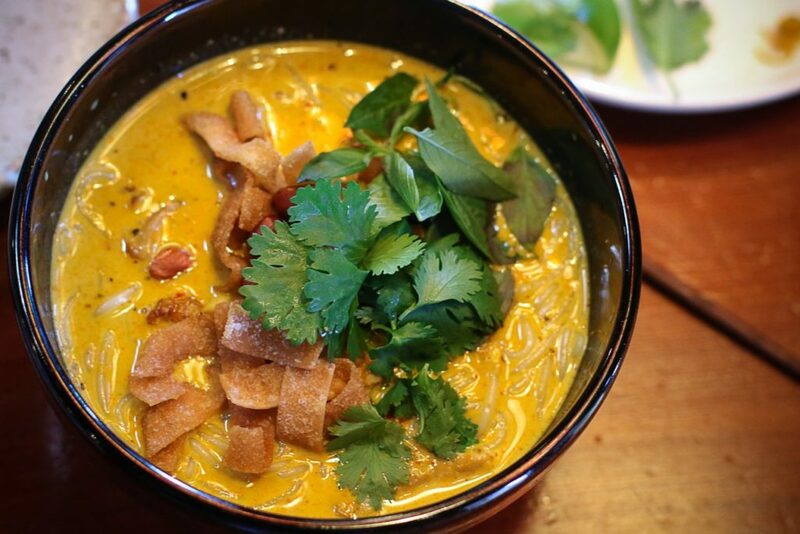 Ramen Gaijin owners Matthew Williams and Moishe Hahn-Shuman — who started their own ramen shop as a pop-up several years ago at Woodfour Brewing — are hosting a handful of summer dinners inspired by travels in Northern Thailand and Laos. 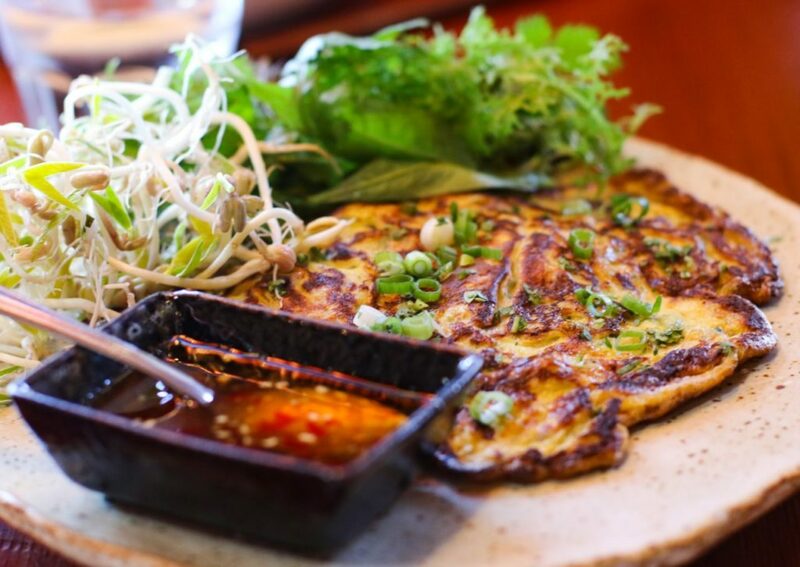 The food focuses on Chiang Mai and nearby Laos, with nods to Central and Southern Thailand. 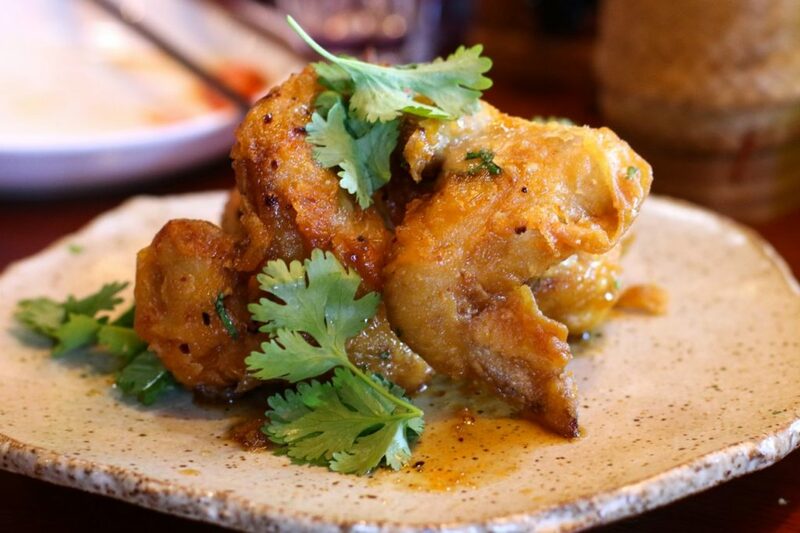 Packed to capacity on a warm summer night, the restaurant temps were already feeling a little bit Bangkokish. But a brisk housemade Thai Iced Tea and cocktail king Scott Beattie’s Tiger Uppercut (house coconut-fat washed rum, lime, coconut milk, raw ginger, Thai herbs) loaded with ice in a handmade pottery cup was as welcome as a cold shower. The first Khom Loi menu included tiny bamboo baskets of sticky rice (khao niaw, $3), and cold green papaya salad with braised octopus (som tam plahmuk, $13) that made us remember why we love this grated mixture of sour papaya, beans, cherry tomatoes, dried shrimp, fish sauce, lime and not-fooling-around chiles. We also couldn’t get enough of the charcoal grilled mushroom salad (het paa nom tok, $12) with a punch of mint and fish sauce, lemongrass and toasted rice powder. As an entrée, the standout was Chiang Mai-style yellow curry (khoa soi gai, $14) that’s a soothing, creamy foil to the heat of spicier dishes. With slippery noodles, coconut milk, chicken and chili sauce, you’ll be lapping at the bottom of the bowl within minutes. 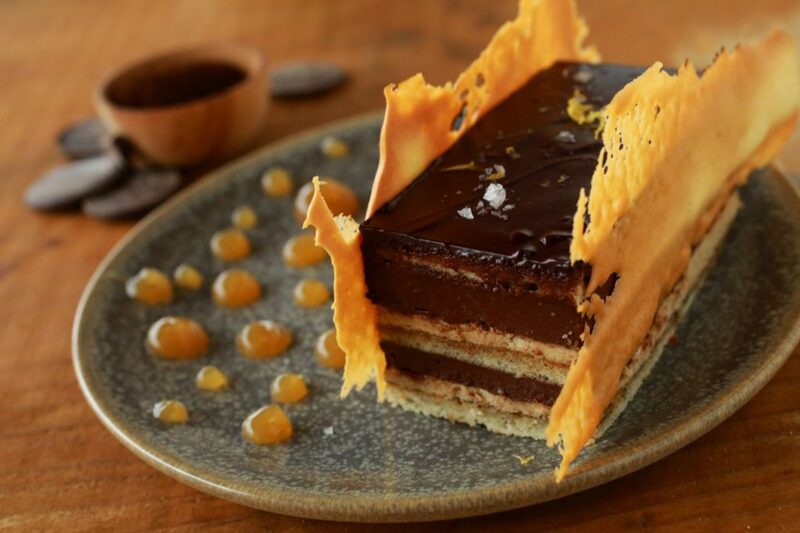 Menus will change over the course of the pop-ups, which are twice monthly. Check out ramengaijin.com for details on upcoming events. 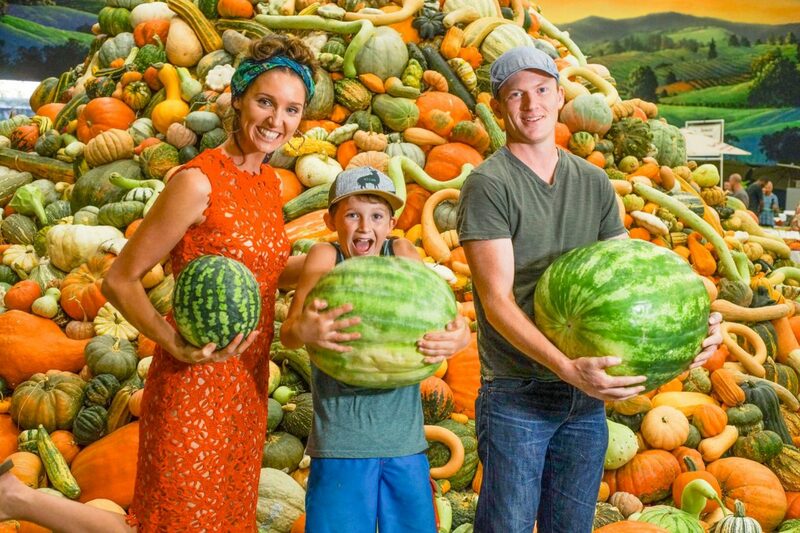 The National Heirloom Expo runs September 5-7 in Santa Rosa.